Using MIT bionics designer Hugh Herr's TEDTalk as inspiration, transhumanist Zoltan Istvan discusses the myriad of technologies that are available for disabled people to "overcome" their disabilities, such as bionic limbs, exoskeletons, and stem cell advancements. Istvan assumes that all disabled people "are suffering and are mentally depressed as a result of their handicaps", and therefore must all want to become able-bodied. 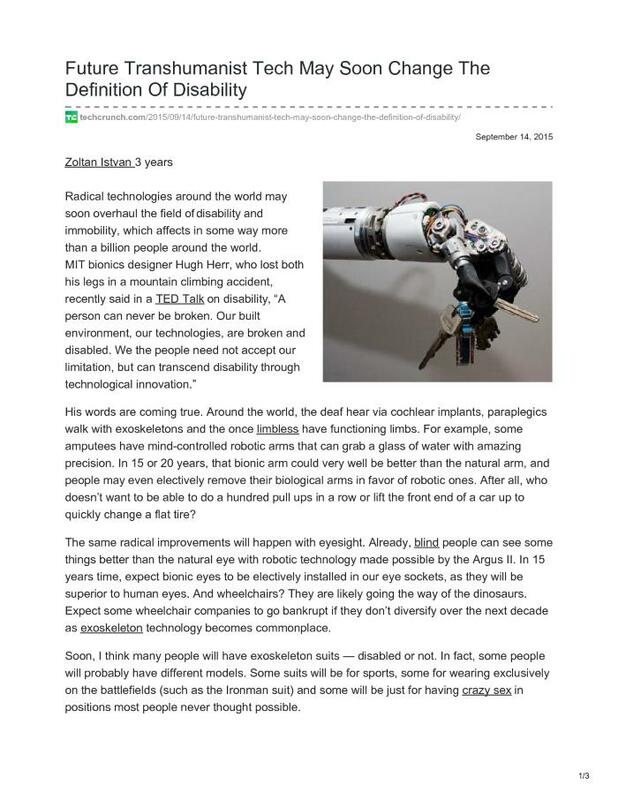 He then goes beyond disability to imagine all people embracing these technologies in order to outperform current human capabilities.